Sad news today. 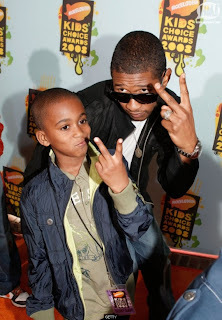 Usher's 11 year old step-son, Kyle Glover, passed away from a injury he obtained while jet skiing earlier in July. He was declared brain dead shortly after the accident and was taken off life support this morning. Glover had reportedly been on an inertube that was being pulled when a family friend who was riding a jet ski behind him lost control and ran into him. SUper tragic that it was another person's error that ended this kids life.